Editor's Note: A version of this article previously appeared at AnnMehl.com. Recently, in my work as a business coach, I was asked to give a presentation at a company offsite on the subject of "productivity and time management." In order to prepare for this, I polled a number of friends and colleagues -- ordinary people whose work styles I admired -- on their individual work habits. Nobody I spoke to felt like they had enough time. 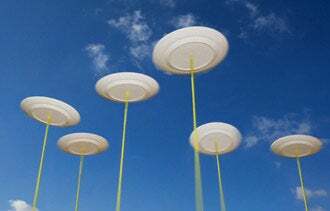 It's as if we've all become the proverbial "plate spinners," those talented jugglers rushing from plate to plate in order to keep each one spinning in the air. Based on my interviews, there were a number of themes that emerged from those who managed to successfully juggle their many labors. Here, in condensed form, I offer you these 12 time management "principles" in hopes that some of them may also be useful to you. 1. Spinach first. Your mom was right. Always tackle the most difficult task on your plate first thing in the morning when your energy and concentration level is at its highest. Get to the hard stuff as early as you can. The longer you put it off in favor of easier, lower priority matters, the bigger that mound gets (and the worse it tastes). Keep the main thing the main thing. 2. Think sprint, not marathon. We are not designed to "park it" at a desk for eight hours at a stretch and get all of our work done. Short, uninterrupted bursts of concentration are the key to knocking out good work. Get a kitchen timer, or stopwatch. Set it for 45 or 60 minutes, and don't stop until you hear the buzzer. You'd be amazed at what you can accomplish in one good uninterrupted hour. 3. Be selfish. Once you have prioritized your to-do list, you must put that ahead of all others' lists. When you are able to get your own work done, you are in a much better position to support others with their projects. But your work comes first. Always. 4. Date stamp your expectation. Whenever you request a deliverable from someone, do not simply ask for it, but also inquire when you can expect to receive it. Things tend to happen much faster when there is an explicit deadline. Similarly, if someone asks something from you, ask them when they need it by. Then write it in a calendar. 5. Touch it once. With the never-ending onslaught of email, it's crucial that you have a good filing system in place. My rule is "read it once" -- then decide what to do with the information, then do it. Same thing with other incoming requests. Touch it once, do something with it, then let it go. 6. Group like items. Organize your week into specific days for similar tasks with allotted timeframes. For example, on Mondays and Wednesdays, focus on face time -- seeing clients, making sales, etc. On Tuesdays and Thursdays, reserve the time for writing, emailing or working on strategy. Friday morning is for overflow and Friday afternoon is free. Knowing what your week looks like in advance makes it easier to be in the right mindset when the time comes. 7. Face time saves time. Don't try to figure out what someone meant in a confusing email; go straight to the source and ask. This saves on time, energy and mistakes. Asking for, and giving, clear communication is key. 8. Delegate. Learn to delegate more of the work. When you actually do this, you'll notice how your role and work output will transition to the next level. Know what parts you do well yourself, and then give to someone else whatever parts you feel do not play to your strengths. Then let go. 9. Track it. If you can't figure out where the week went, it's time to take a closer look at it. Track your time hour-by-hour for one week: everything that you're doing from the time you get up until you go to bed. This is sobering! You'll likely see where the holes in your calendar are. You may find that you need to rearrange your life (and calendar) accordingly. 10. Move it. With so much head work, we can often neglect our bodies (without which our heads do not work). Regular vigorous exercise will help you blow off steam, give you more energy, greater concentration and a better night's sleep. Not a bad return! 11. Slow down to speed up. Sometimes we need to slow it right down in order to get good work done. By minimizing distractions, and focusing carefully on one task at a time, we can actually speed up our overall work rate. Mono-tasking is the way. 12. Lighten up. Nothing is so serious that we cannot laugh about it. One good belly laugh each day is essential for defusing tension, and yes, getting our work done. Work is work, but that doesn't mean we can't have a laugh once in a while. Even at our own expense. Even when the chips are down.